The nominations for the 49th NAACP Image Awards have been announced and in the Motion Picture section Get Out, Girls Trip and Marshall lead the field with five apiece. All three were nominated for Outstanding Motion Picture alongside Detroit and Roman J. Israel, Esq. In Television, Queen Sugar led the way with 6 nominations, followed by Insecure with five. Each of those shows’ creators, Ava DuVernay and Issa Rae, were also nominated for Entertainer of the Year. Some big snubs found Mudbound with no acting nominations nor one for Outstanding Motion Picture. Mudbound‘s director, Dee Rees, was nominated in director and writing. Idris Elba is a double nominee, lead for The Mountain Between Us and supporting for Thor: Ragnarok when his performance in Molly’s Game has more generated awards talk. Crown Heights earned two acting nominations but not for Lakeith Stanfield, who by far has the film’s best notices. Stanfield was also snubbed for Get Out, with the group nominating Lil Rel Howery instead. Speaking of Get Out, Betty Gabriel was snubbed supporting actress. The NAACP Image Awards celebrates the accomplishments of people of color in the fields of television, music, literature and film, and also honors individuals or groups who promote social justice through creative endeavors. 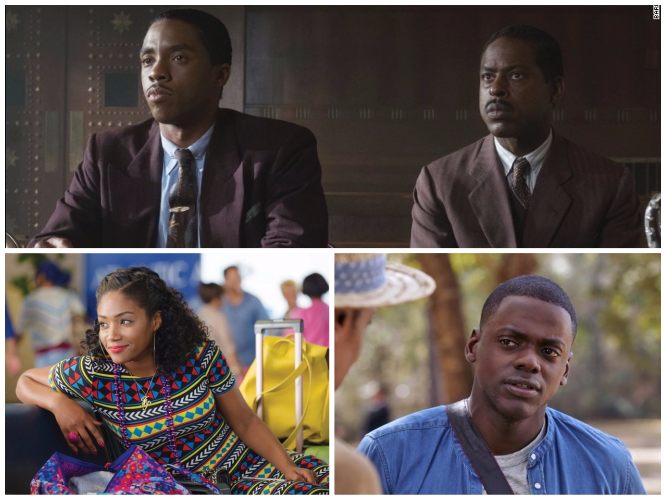 NAACP members vote to select NAACP Image Awards winners from nominees in television, music literature, and film. Winners will be announced live on TV One on the Dr. Martin Luther King, Jr. holiday (January 18, 2018) and will be hosted by two-time Image Award winner Anthony Anderson.